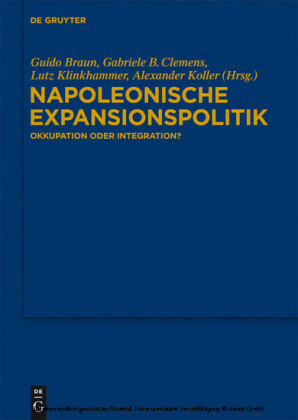 Napoleonische Expansionspolitik Okkupation oder Integration? In the course of the French expansion around 1800 large territories were incorporated into the Empire and, one by one, affected by the reforms of the Revolution. 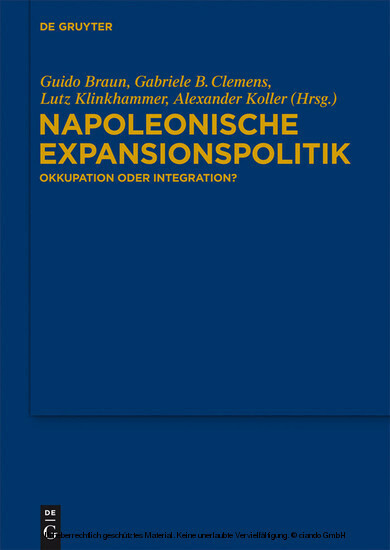 This volume seeks to redefine the character of Napoleonic rule, engaged in conquest and integration, by examining key themes such as geography and politics, society and war, economy and environment. The geographic focus extends from the Rhineland and Switzerland to southern Italy. Guido Braun , University of Bonn; Gabriele B. Clemens , University of Saarland; Lutz Klinkhammer und Alexander Koller , DHI Rome, Italien.